Wilson Building Public Art Program Call for Artists: The DC Commission on the Arts and Humanities is currently accepting applications for the John A. Wilson Building Public Art Program. The works purchased through this call for artists are specifically designated for permanent installation in the Wilson Building. For more information and an application, please visit the Commission's website to download the Call for Artists and application, or call 202-724-5613. The final exhibit at the Fraser Gallery Georgetown opens tomorrow, Friday January 20, 2006 with an opening reception (from 6-9PM) for Bruce Erickson, winner of the 2005 Georgetown International Fine Arts Competition. The exhibition closes on February 15, 2006. 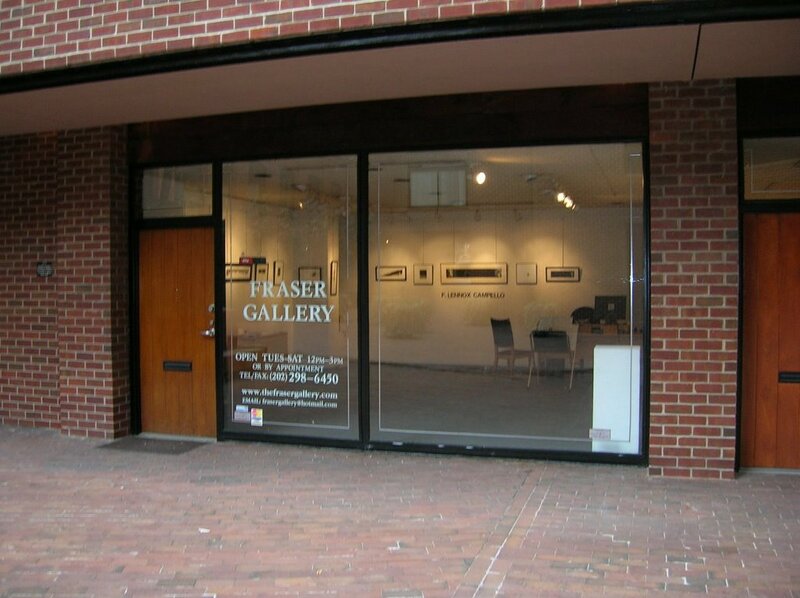 Catriona Fraser and I opened the Georgetown Fraser Gallery in 1996, and for the last ten years our gallery has been one of the key independent fine arts galleries in the Washington, DC area. 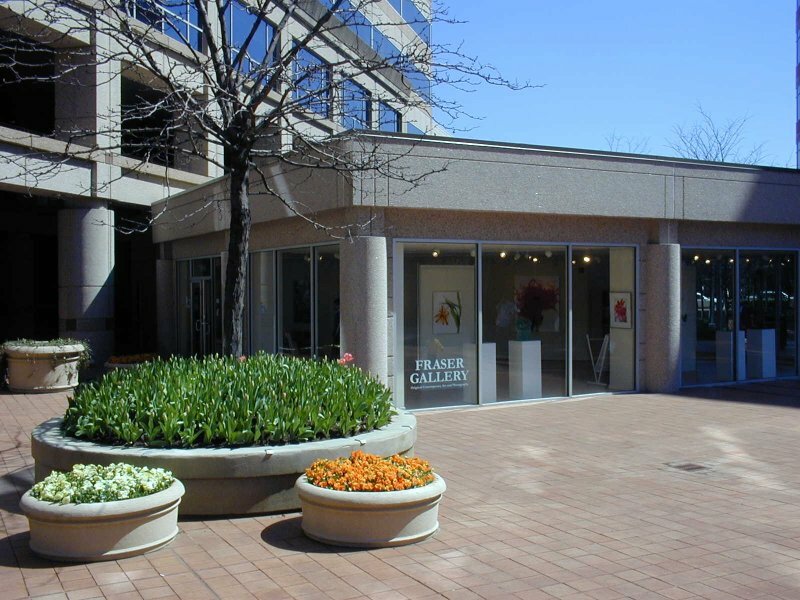 A second, larger gallery, four times the size of the Georgetown gallery, opened in Bethesda, Maryland in 2002. Since 1996 we have been working hard to deliver the best in contemporary realism, fine art photography and narrative glass sculpture in the region. Additionally, the galleries have become one of the the premier exhibit spaces for contemporary Cuban and European artists. "The location is only one factor in the success or failure of a gallery. Our gallery is now a destination for collectors because they appreciate our knowledge of contemporary artists working in this region and most importantly: we have a realistic understanding of the art market here. The relationships that we have with both the artists that we represent and our collectors is something that can’t be developed overnight... it takes time, honesty, integrity and a lot of hard work," said Catriona Fraser. The Fraser Gallery in Georgetown will close at the end of the February 2006 exhibition, which appropriately enough brings the Washington, DC debut of Pennsylvania artist Bruce Erikson, winner of the Eight Annual Georgetown International Fine Arts Competition, juried and selected by Jack Rassmussen, Curator and Director, Katzen Art Center at American University. 2005 has been the galleries’ best year ever for sales, as well as a record number of museum acquisitions and the highest number of published reviews about our exhibitions ever both in the U.S. and abroad. As our region continues to grow and expand with more fine art galleries opening every year, we feel confident that both our artists and collectors will continue to benefit from our commitment to the visual arts in this region as we focus our energies into one space in Bethesda.